The Caboverdian Mestico people from Cabo Verde, formerly known as Cape Verde, are of mixed descent and it would not be uncommon to see them with dark skin, lighter colored hair, and blue eyes while at the same time seeing others who have light skin and black hair. As such, they are a people of mixed African and European origins; another term is creole meaning mixed black and white descent. Cabo Verde is a small island country, consisting of 10 volcanic islands, approximately 350 miles off the coast of West Africa. 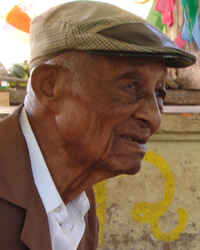 Although Caboverdian Mestico people traditionally speak a Portuguese creole dialect on Cabo Verde, the majority in the United States also speak English. However, they maintain a strong sense of their ethno-linguistic identity by continuing to speak their mother tongue and celebrating their rich cultural heritage as a people group. The majority of Caboverdian Mestico in the United States adhere to Roman Catholicism with many living a more secular lifestyle. The majority of them are concentrated on the New England coast from Providence, Rhode Island, to New Bedford and Brockton, Massachusetts. Overall, the the vast majority reside just south of the Boston metro area. Pray for churches to develop intentional church planting strategies specifically focusing on the Caboverdian Mestico people. Pray for Christians that live and work among Caboverdian Mestico people to begin forming loving friendships with them that will reveal a living God. Pray for the Holy Spirit to begin revealing the true nature of God to Caboverdian Mestico people in powerful ways.